In the modern hip-hop industry, pretty much any rapper who wants to make it has to start at the bottom with a few mixtapes and move up to independently released pseudo albums. Kendrick Lamar has done both. The problem with this is the inherent risk of building hype the artist can’t live up to with their first full studio album. J. Cole had this problem and I would argue Curren$y did as well. While their first major label studio albums were certainly “good”, that’s all they were, neither great nor exceptional like their mixtapes/independent albums were. One of the lead singles, Swimming Pools (Drank) is an excellent example of the depths of Kendrick Lamar’s artistry. On the surface, this sounds like a typical club or radio joint that’ll chart purely off of its catchy hook and deep, thumping bass line. But beneath the cunning disguise lies a story of peer pressure and alcoholism. Kendrick walks the tightrope between mass appeal and artistry with ease that evidences his genius in that he is able to appeal to both worlds without compromise. There are a few notable features that serve to amplify the messages relayed, such as MC Eiht’s appearance on the track m.A.A.d city, a song about the perils of life in Compton featuring an appearance by one of Compton’s gangster rap legends. But Kendrick is at his best when he’s on his own. This is his album and his story and no one tells it better than him. The album’s magnum opus of sorts is Sing About Me, I’m Dying of Thirst, a 12 minute track split into two parts, the first featuring perspectives from two people from Kendrick’s past, offering differing perspectives on the concept of having their story live on after death while the third verse the inner turmoil Kendrick deals with as an artist as he wrestles with remaining true to his art amidst the negative influences he has seen throughout adolescence. The second half deals with his fatigue of running and hunting, his tiredness from the endless cycle of violence so often seen in gang culture. Throughout the album, Lamar delves deep into his past, showing us where his inspiration comes from and what fuels his artistry. Short skits interspersed throughout the album, usually appearing at the end of songs serve to relay the album’s “storyline”, which is apparently based on true stories from Kendrick’s past. Through the songs and the accompanying skits Kendrick weaves an interesting tale playing out as if on a tape deck, the album goes all round and back again, a cycle reflective of the cyclical nature of life. To say I merely like this album would be a tremendous disservice to it and the man behind it. This is an absolutely astounding album that deserves to be heralded as a modern classic. Kendrick Lamar has demonstrated that he has tremendous depth as an artist through intricately layered and meaningful lyrics that flow as smooth as velvet on top of some excellent production. This album is an absolutely brilliant total package that, at the risk of sounding hyperbolic (as if I haven’t done enough of that already), constitutes a new paradigm for conscious hip-hop. 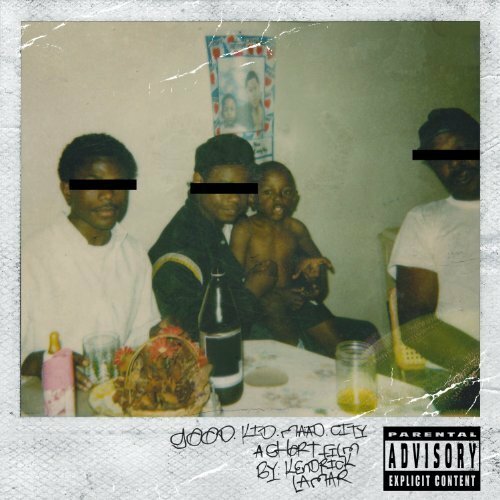 Don’t pirate good kid, m.A.A.d city. Don’t stream it for free online. Buy it, like I did. This is the kind of hip-hop the industry needs more of and it needs our support.